Little Red Book is the fastest rising social eCommerce app in China. As mentioned in our previous blog post, the primary demographic on Little Red Book consists of females under 30 who are interested in skin care, cosmetics, nutrition supplements, and fashion. 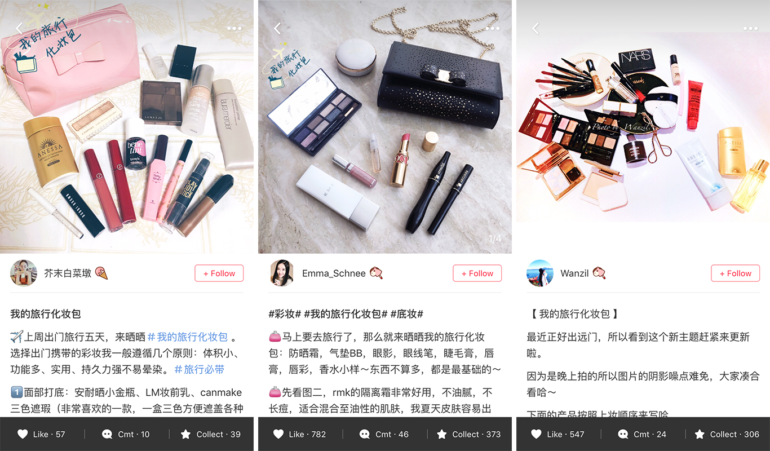 Little Red Book is the perfect platform for people to share product reviews and hauls. Since the majority of posts on Little Red Book are about Western brands, this positions their users as having relatively high purchasing power. What makes Little Red Book stand out amongst all the other social media channels is that it creates a “safe” environment for people to share which products they bought, what’s good and what’s not. Weibo is very public, and sometimes sharing things will be perceived as showing off. WeChat is more of a closed environment, but there are many different layers of relationships in one’s WeChat account (friends, colleagues, relatives, etc.). This could create some concerns for sharing as well. However, on Little Red Book, the whole point is to share what you bought and your experiences with it. There is no concern in being perceived negatively — everyone is on the app to share and learn from each other, which makes the interactions organic. Knowing the environment of Little Red Book, the rest is obvious — brands would benefit from reviews by the right KOLs. Social influence is based on interactions and following in the right industry. Therefore, it is recommended to choose KOLs with the right combination of interactions and following. In addition, brands need to pay attention to if the KOLs align with their brand identity and positioning. From time to time, Little Red Book will host Events and encourage users to post based on these events. 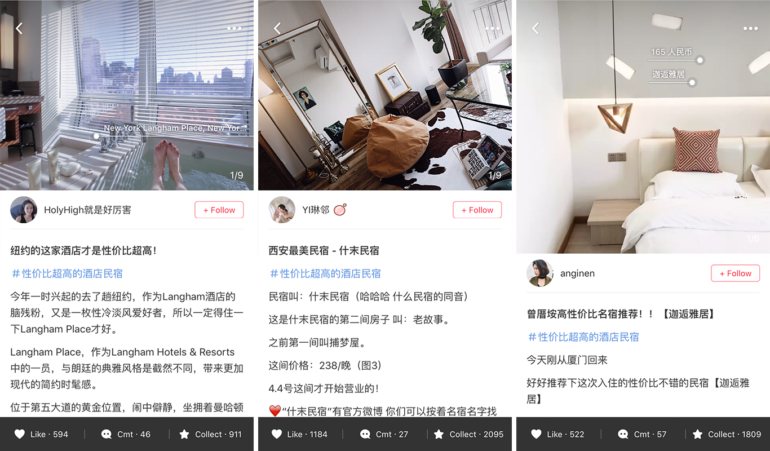 Event-specific filters and stickers are created for users to use — the posts with these filters and stickers will stand out more prominently in the feed. Brands can utilize these events to get more exposure and position themselves as the industry leader for certain occasions. For example, there was a recent event called “the 5-minute makeup challenge”, where users were encouraged to share tips for completing their makeup in 5 minutes and the products they would use. If Chanel, as a brand, wanted to position their foundation as a product necessary in quick and easy base makeup, then it would be a great opportunity to partner with Little Red Book KOLs to accomplish this. Similarly, Little Red Book will host Topics such as #My fall/winter outfits#. If brands are interested in featuring any seasonal products, it is a great opportunity to partner up with KOLs to do so. Little Red Book is a uniquely different social media channel in the sense that it’s solely focused on product reviews — you are not really using the app to see what your friends are up to, or if there is any big news going on in the world today. This means their users are purchase-focused and more likely to convert to buying customers. In China, the slang term for being influenced to buy something “planting grass”. Is your brand ready to “plant some grass”?